Hi everyone. Yay - it's Friday!!! after the Frosted Winter - Octavia fell in your baskets LOL! Now, that could be a butterfly, a fairy, a bird, even a dragon. If it has wings, then enter it into our challenge. PRIZE: Our Random winner will receive a $10 gift certificate for downloads at the Polkadoodles Store. Asha - I'm using the new Picknix 3 Nordic Winter CD to make another Christmas card. 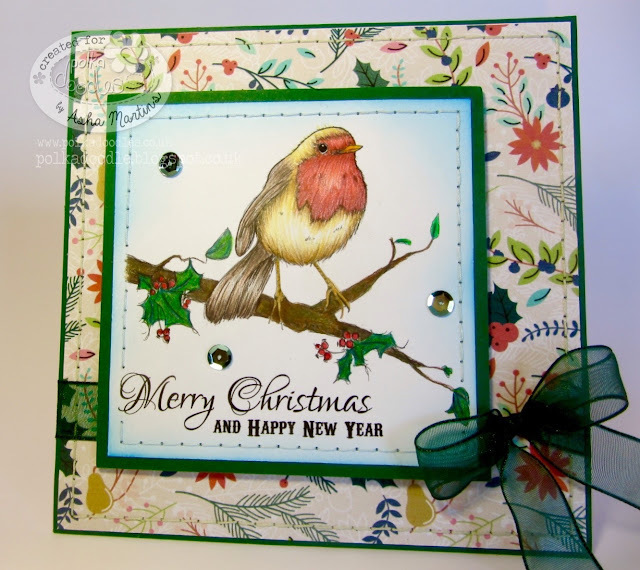 This week, I've coloured the cute little bird with Polychromos and inked the edges with some Distress Inks. 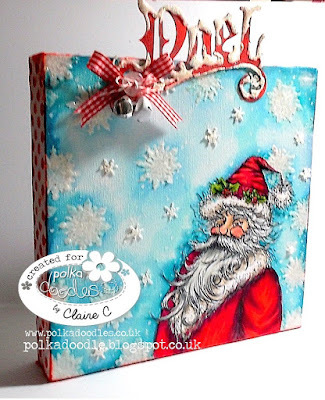 The patterned papers is also from the Picknix 3 Nordic Winter CD. To finish - a few sequins and sheer green ribbon from my stash. 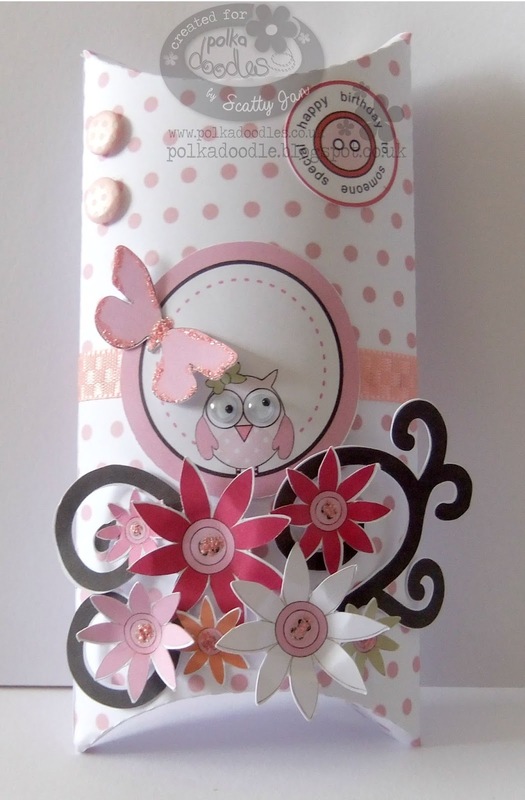 Karon - I have made a Z-Fold card this week, using the wonderful Twiggy and Toots Collection. I just can't resist these adorable owls. This would make a perfect card for a New Home for a couple. I used one of the pre-coloured panels from one of the Design sheets from this fabulous collection, along with all the wonderful papers. 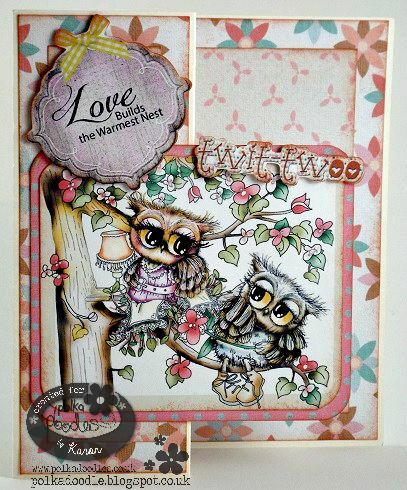 Scatty Jan - For my project this time I have used the lovely CD Sugar Birdies - The paper, flowers, swirls, sentiment, owl and Butterfly all part of the cd I just added some candy, googly eyes, a couple of candys and a splash of cotton candy stickles. 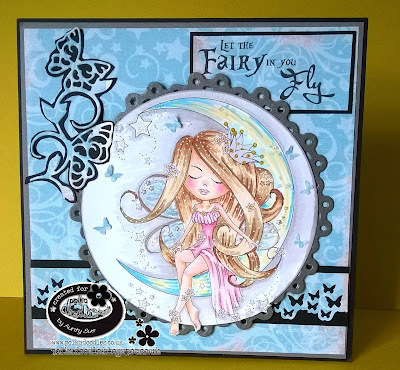 Aunty Sue - For my card I have been playing with one of the amazing CD's Serenity Wishes as she has the most delightful wings. 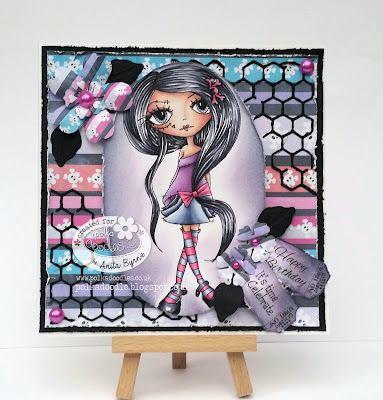 I have featured Serenity Stardust which you can purchase as a download Here and the fabulous paper is from Paper Pack One which you can buy Here but why buy as individuals when you can get so much more for your money with the fab CD HERE. Sentiment is also from the CD. Just finished it off with a punch and a die cut. Lots of glitter but not sure it shows. 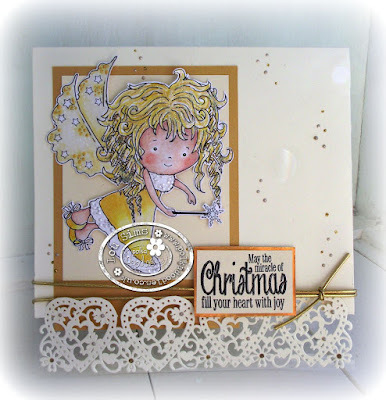 Lou - I have used the adore angel from Work and Play 5, Festive Hollybobs for my CAS styles card. 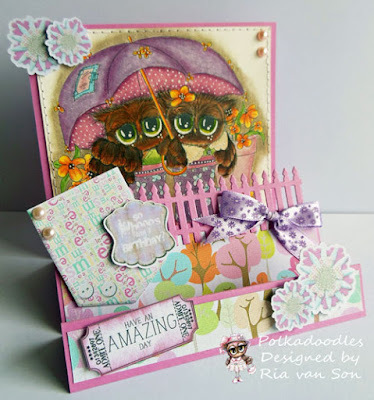 She has been coloured with Lyra Rembrandt Polycolor pencils and lavished with glitter and Nuvo glossy drops. 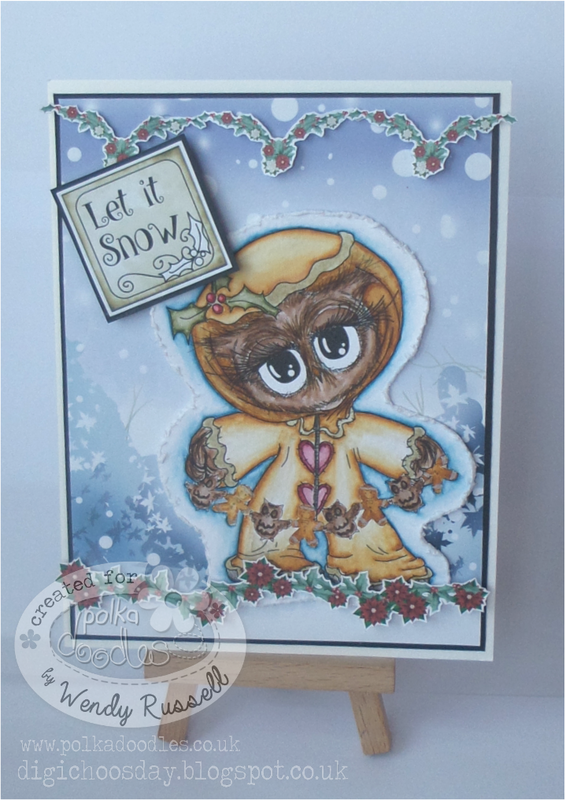 Penny- I have a confession I got myself a new kit, Nordic Winter and am thrilled with the amount of digital coloured images within. I have done a 360' turn around and instead of colouring images I am printing them out fully coloured and loving it. 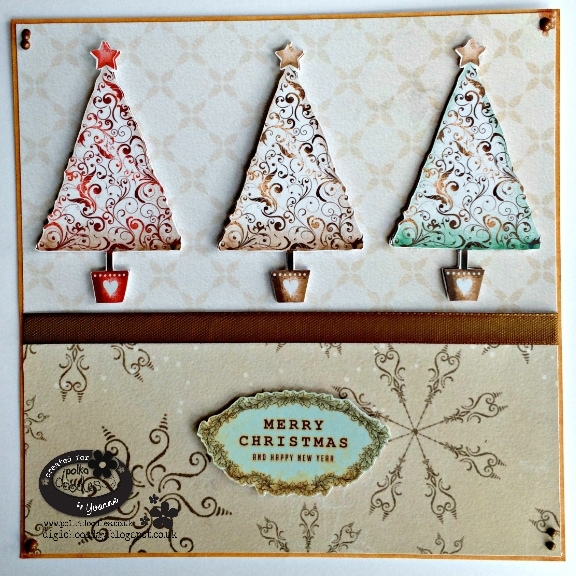 These are one version of my xmas tags for the year, made by layering shapes, sentiments and images from Nordic Winter. 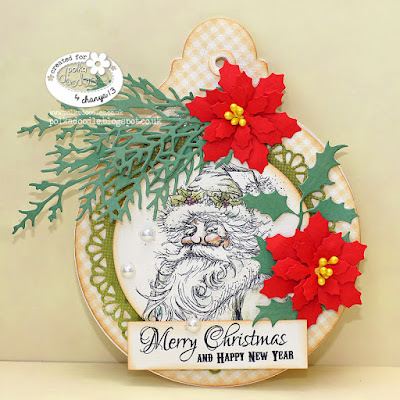 Such wonderful creations and such different styles! Looking forward to seeing what you all come up with this week. So, go on, off you go! Get Crafting! Remember only 2 entries per person and please follow our simple rules - we would hate for you to lose out on any prizes. Hi everyone. Another week come and gone. You have until Friday 28th Aug to enter. This truly is an amazing collection. The digital images, backing papers, scenes, embellishments! You name it - they are stunning! The winner of our More than one Fold challenge is at the end of this post. Now lets see some of the Design Team inspiration for you this week. 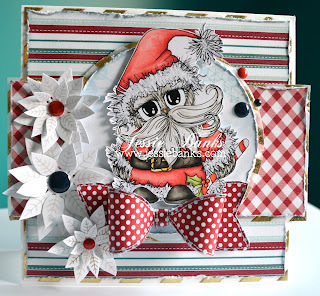 Asha - I'm using the new Picknix 3 Nordic Winter CD to make this Christmas card. I coloured Santa with Polychromos and finished the card with sheer white ribbon and little stars from my stash. 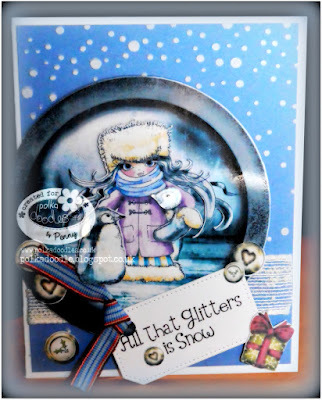 Karon - I too have used the fabulous Picknix 3 Nordic Winter collection. 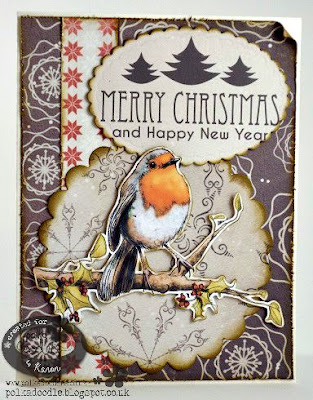 I have used the pre-coloured Robin from the collection, along with the fabulous papers. A little bit of distressing and inking, and all done. 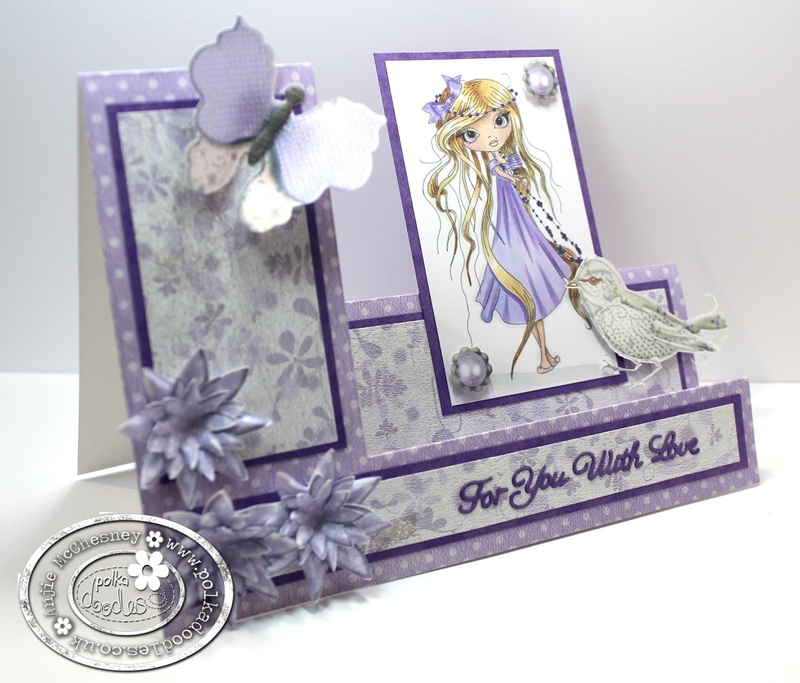 Cheremane - One of the newest collection to myself is Picnix 3 Nordic Winter Collection. 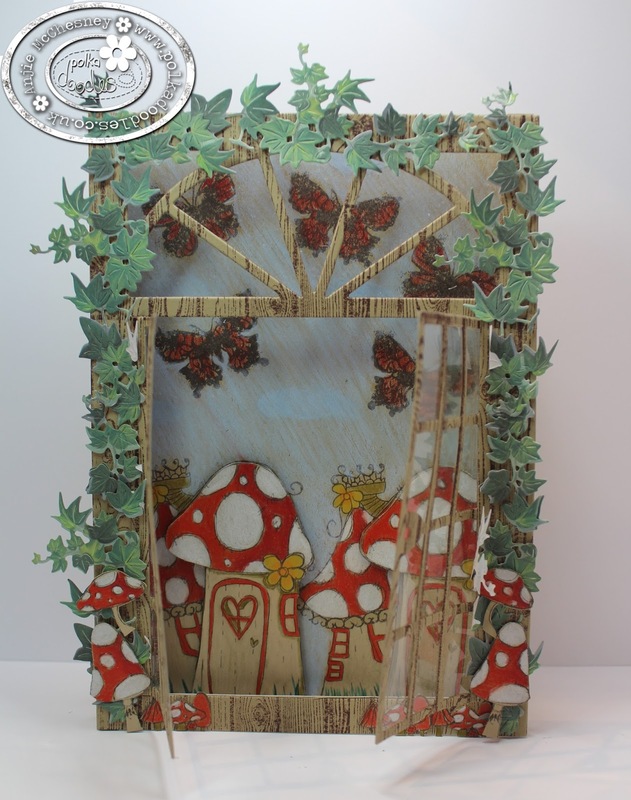 I adore this collection it's jammed packed full of paper crafting goodies. I have used one element from the Ephemera part of the Cd along with a sentiment. 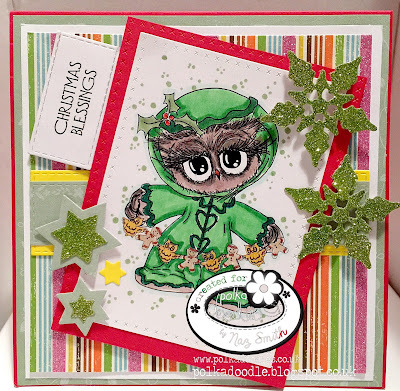 Lou - I have used one of the adorable images from Twiggy and Toots Festive Collection coloured with my Lyra pencils to create a CAS style card. The sentiment is from Work and Play 5, Festive Hollybobs. Aunty Sue - Hi for my something new I am using Work & Play 5 - Festive Hollybobs which you can purchase HERE. I am using Hollybobs present which you can purchase as a digi HERE. 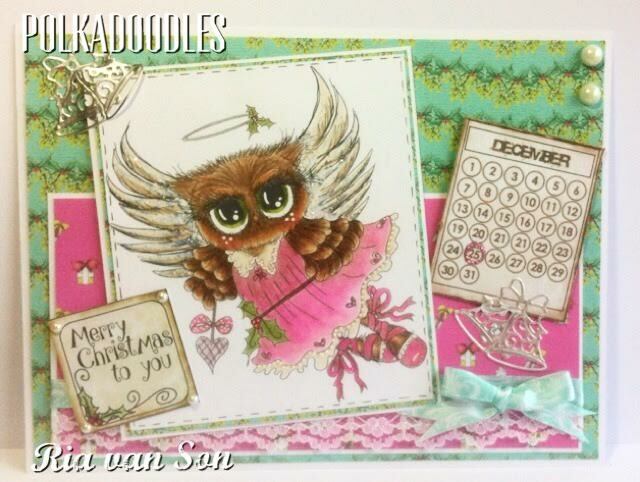 I have coloured my image with promarkers .Added some seem binding & Lace. Everything else is on the download. Such a lovely selection of papers and loads of elements. 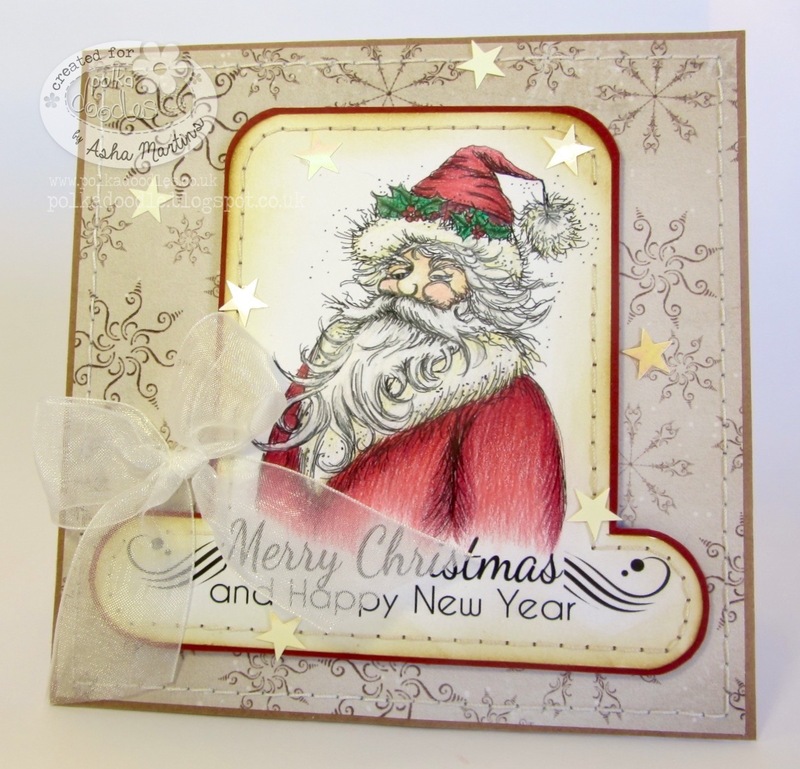 Penny - So happy to say my something new was from the lovely new release Octavia Frosted Winter Collection. I used the design page sheet for this card and the print and cut feature on my cuter. My background was made using texture paste and a stencil. The beautiful image being pre-coloured made this card so simple to complete. As for sentiments, I was spoiled for choice from this set. All of my small embellishments are in the kit matching the main image perfectly. Wonderful inspiration - We just love everyones interpretations. Please contact us HERE and quote PD34001wk31 to claim your prize. Thank you to everyone that entered - your creations were wonderful. 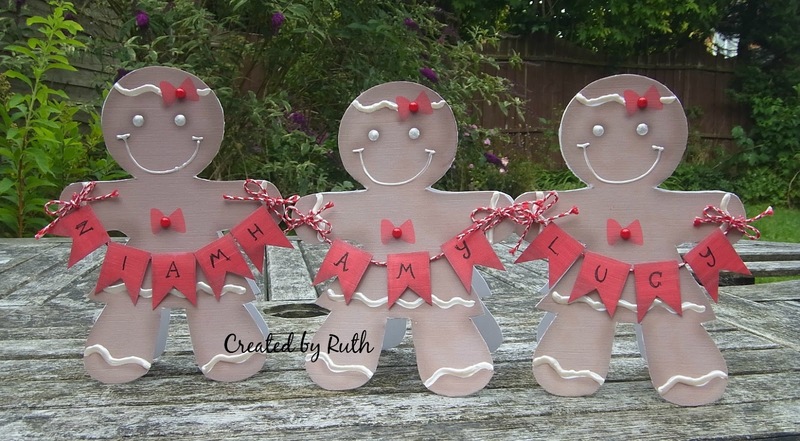 Ruth: I'm making a start on my Christmas cards early and have made these three cuties for my three neices. 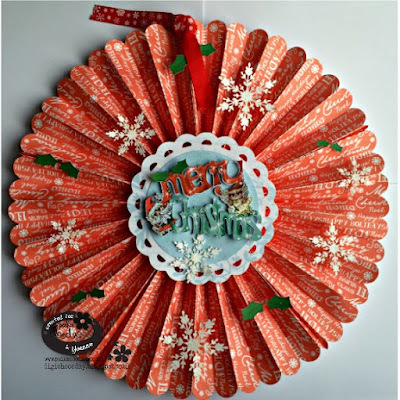 I've used the gingerbread image from the Twiggy and Toots Festive Fun cd - simply enlarged it without any quality issues and then added thick liquid pearls, a banner and half pearls. I think the girls will like them! 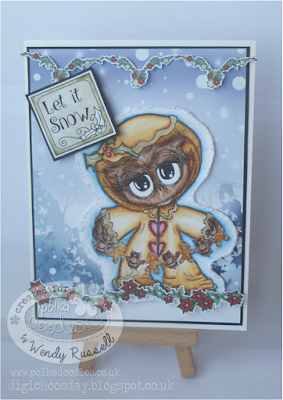 Naz - For this project I am using an image from Twiggy & Toots Festive Fun. 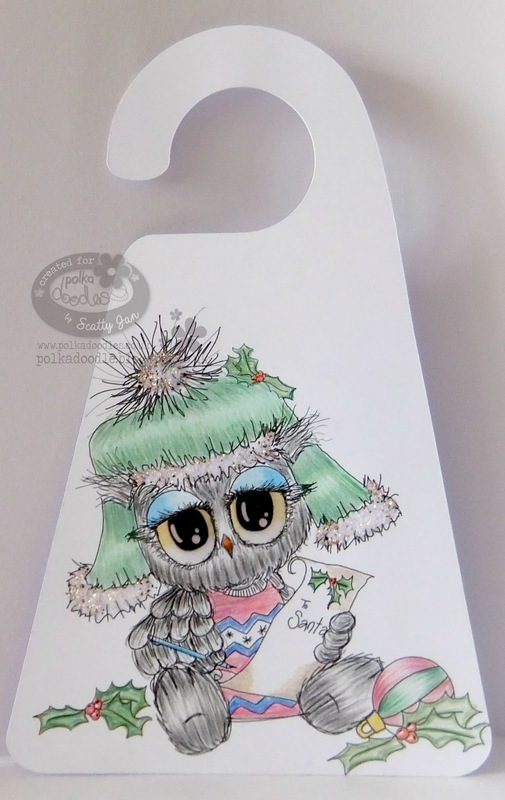 I coloured this cute image using my Copic markers and decided to use lots of Christmas Colours for this project. Dies I have used for this project are Die-Namics Dies-Vertical Stitched Strips, Nellie's Choice Multi Frame Dies-Star as well as Memory Box Dies - Cross Stitched Frame Borders.The sentiment I have used here is also from the same collection. Anita - Hi there today for my use something new is the unique images drawn by nikky called "Iickyink Art". I have never seen images like this before so these has blown me away I have used Odella Bow. 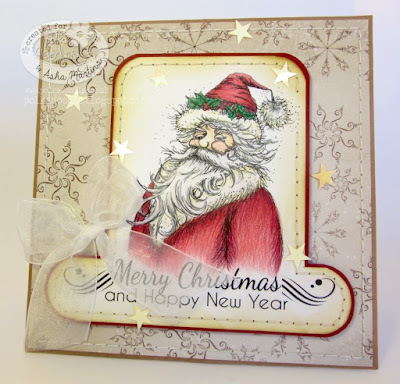 Backing papers I have used are from work and play 11 collection. 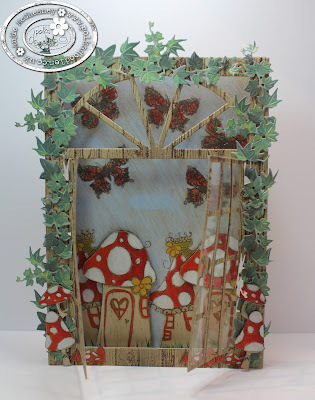 I also I used a new die I have bought to add some dimension to background. Bev: I have opted for A Nordic Christmas. It's just such a versatile collection I adore cutting, shaping and layering up the flowers! Yvonne - I used the NEW Picknix Nordic Christmas Collection which you can get as a CD-Rom or as a Digi Download Collection. 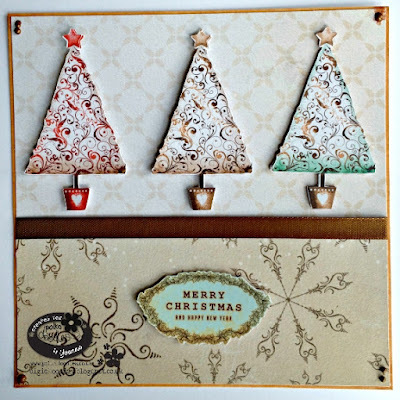 I used the trees from the embellishment section and cut out 6 of them. I decoupaged them onto each other for some lift. The papers are from the collection. 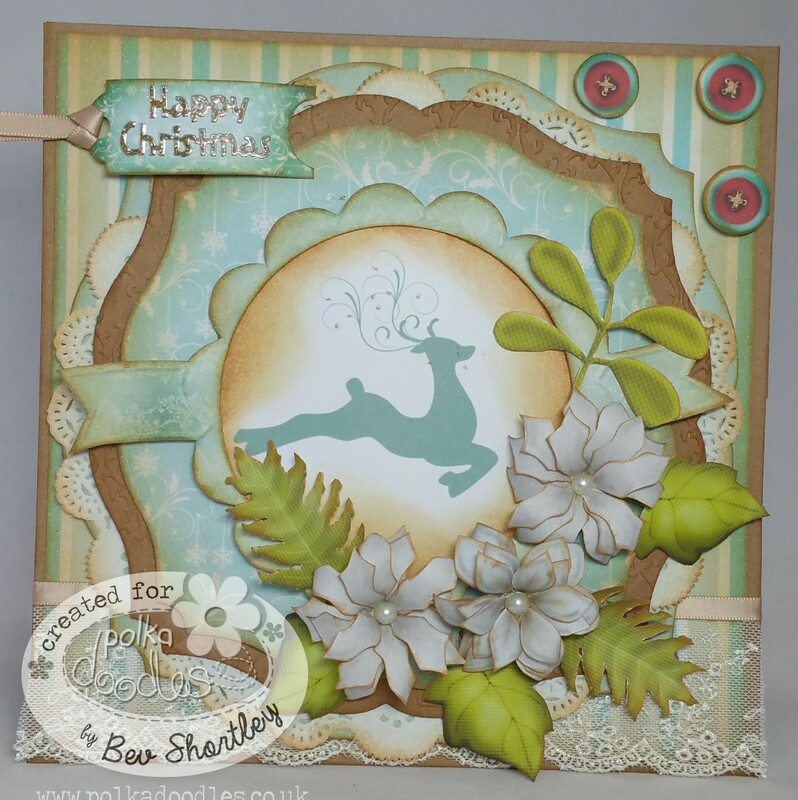 Wendy - Well what else could I use for 'Something New' but one of the newest collections, Twiggy & Toos Festive Fun, which is available as a CD here or get the complete collection as a download here. 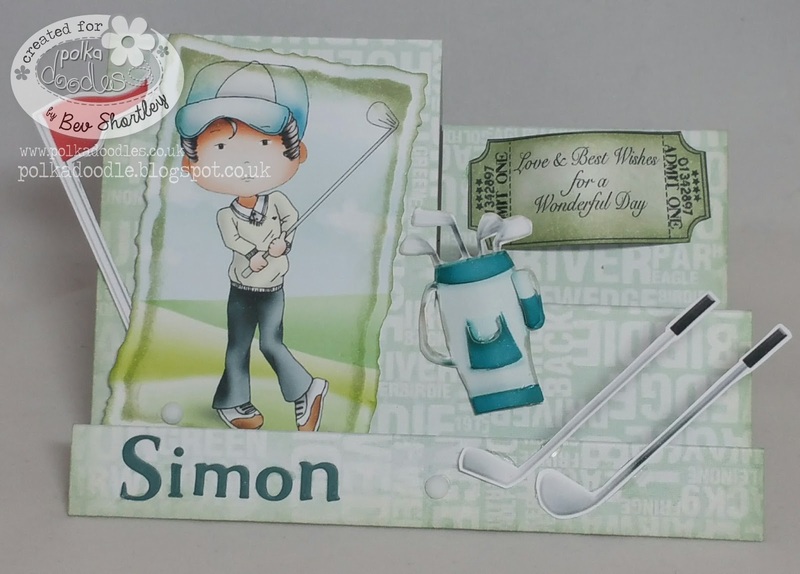 All items of my card are from this collection, including the scene in the background. The image is also part of this collection, but also available on its own here as a digi download. 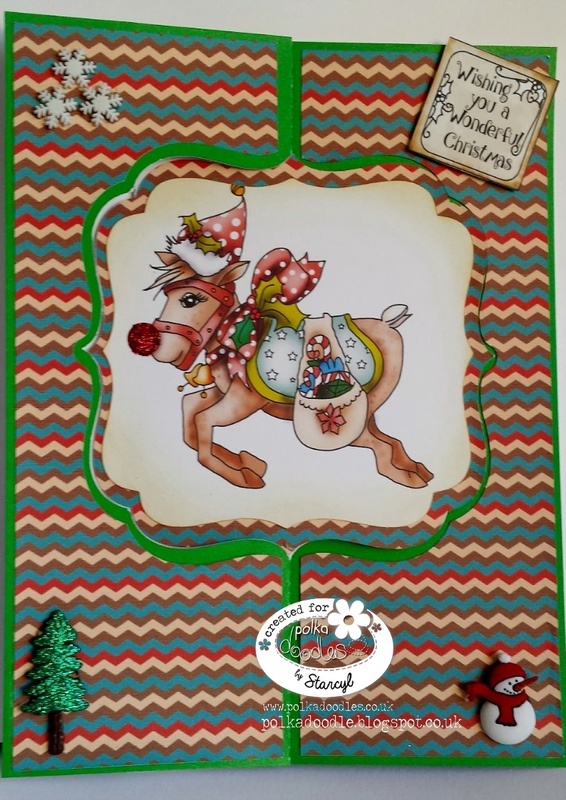 Jenny - Use something new was the instruction so as it's coming to the time that I need to make lots of Christmas Cards I decided that the newest Twiggy and Toots was the collection to go for but for a change I decided to use the reindeer and make something a little different. More photos and details can be found on my blog. Jackie- I have been playing with the digi collection Work and Play 5 "Festive Hollybobs" which was a new one for me to use . 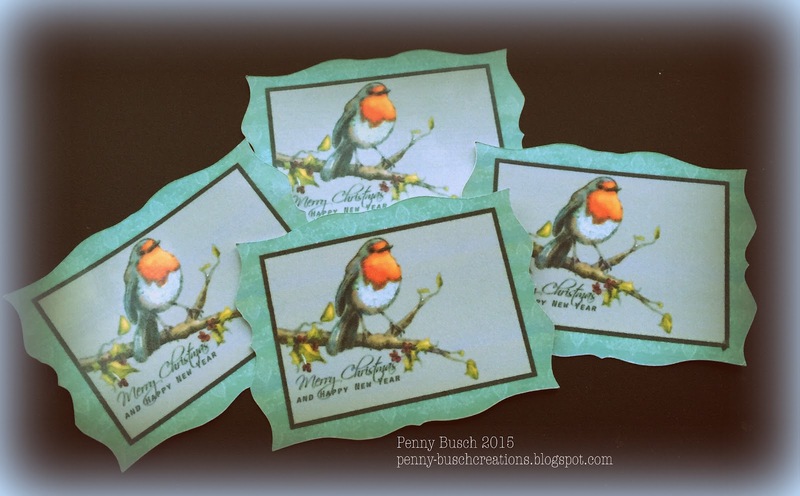 The printing and cutting out of images, paper and embellishments was also new to me but there was certainly a great range to choose from! Details for making up this card front are on my blog. 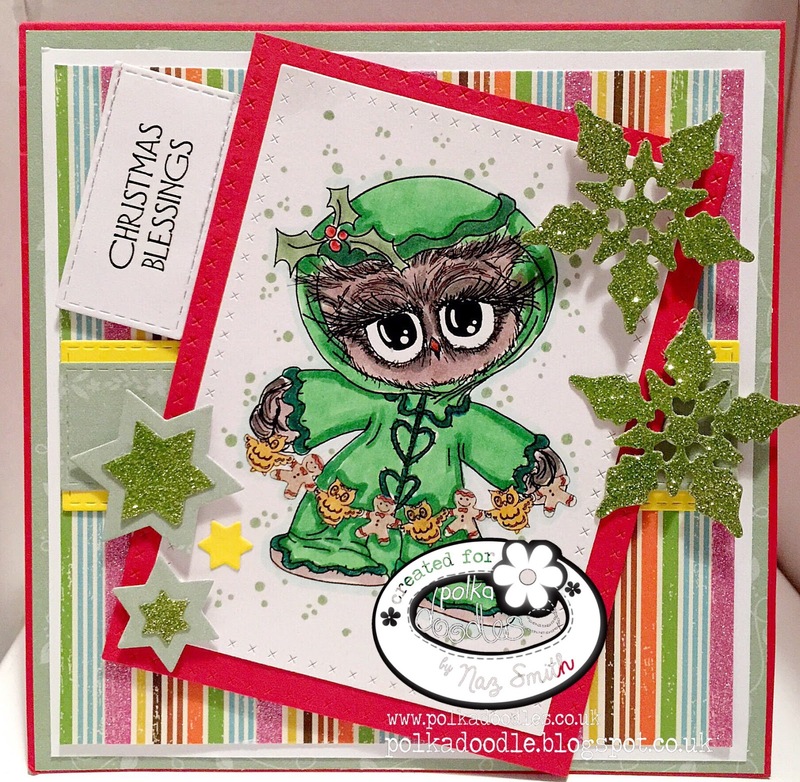 Jessie: I have recently got my hands on the wonderful Twiggy & Toots Festive Fun Collection and am head over heals for its! I coloured up Santa Owl with my Copics, all of the patterned papers and the embellishments (excluding the enamel dots) are from the collections. I love how saturated the colours are! Naz - This beautiful digi I have used here SERENITY BLOSSOM is from SERENITY FAIRY WISHES Set which includes 10 black and white digital stamps, 10 coloured digital stamps,textured papers as well as 26 Sentiments. Amazing value! 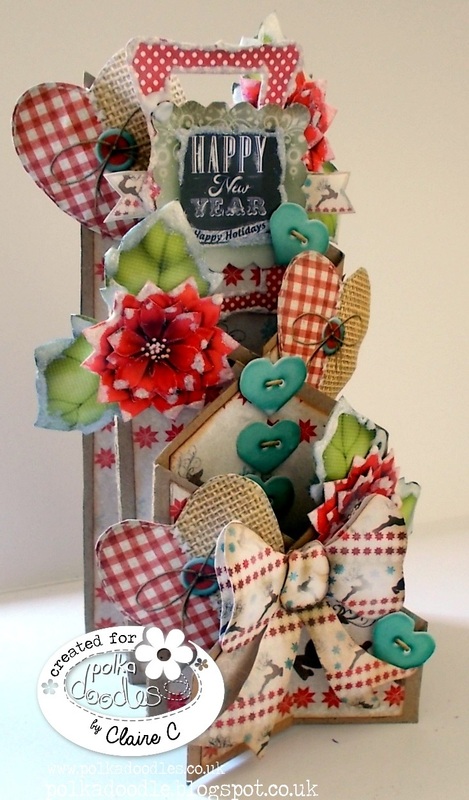 Anjie - I have made a side stepper card which has 5 folds on it. 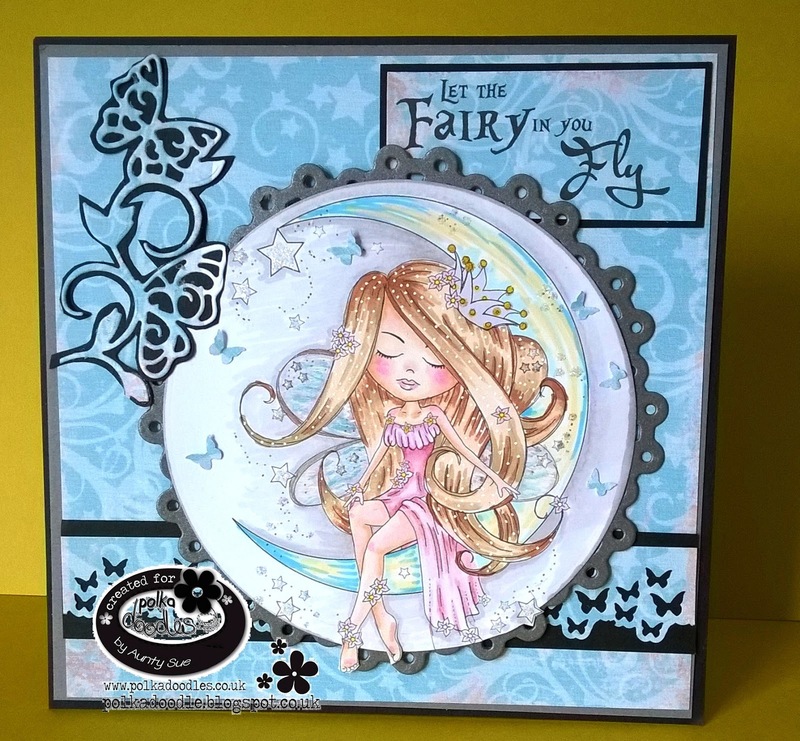 I have used the beautiful Octavia Thinking image and papers from the Octavia Moonfly collection. the flowers, butterfly, bird and jewels are also from the same collection. I have coloured Octavia with my Graph'It Markers. and I coloured it with pencils and white dots are made with a white molotow marker. 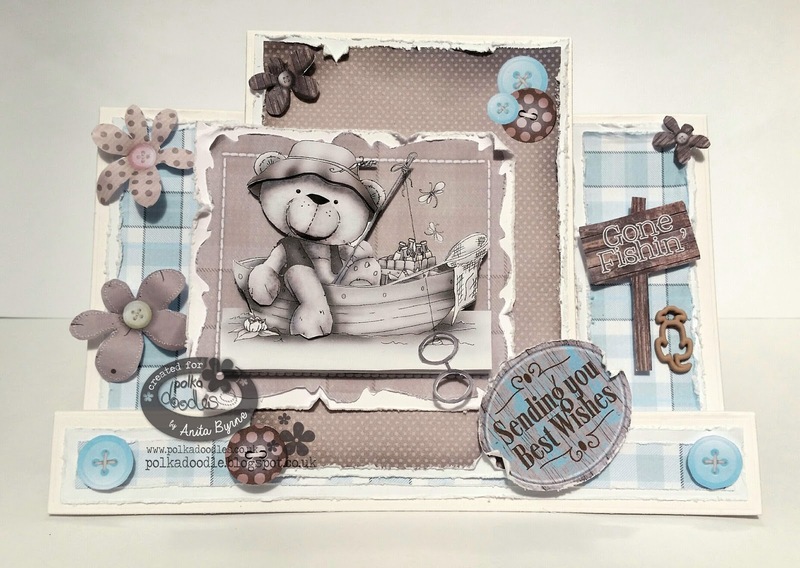 Ruth: I've made a stepper card and converted it into a number of layers - using the Work and Play 3 download for the man relaxing and the caravan. I've used Promarkers to colour then added my own handwritten banners plus the bunting. Jackie - I have been having fun with the great digi images from the Twiggy and Toots CD Collection...so many to choose from! I made a really simple card today with more than one fold that allowed a range of layers of patterned papers to be visible. Details for colouring the image are on my blog. Now...which image will I colour next?? Bev here with my inspiration. 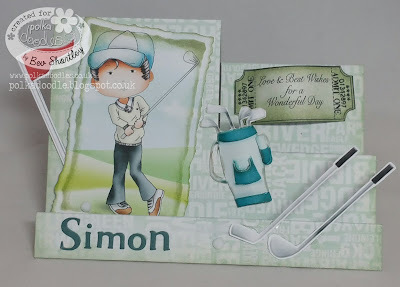 I used the very useful Work and Play 11 to make my brothers birthday card there is a quick tutorial on how to make the card on my blog. I just love that there are both boy and girl options on these collections. 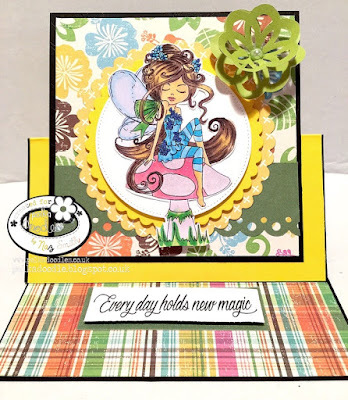 Wendy - I've made a criss-cross card for this weeks challenge. The image is Odella Bow from the Ickyinks collection. 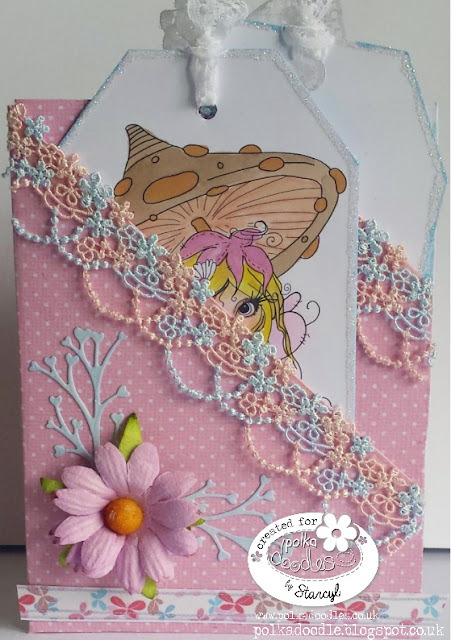 The backing paper is from the Rose Budd Collection and has been recoloured in Craft Artist, as have been the flowers, which can be found in the Eden collection - Blooming Heaven. 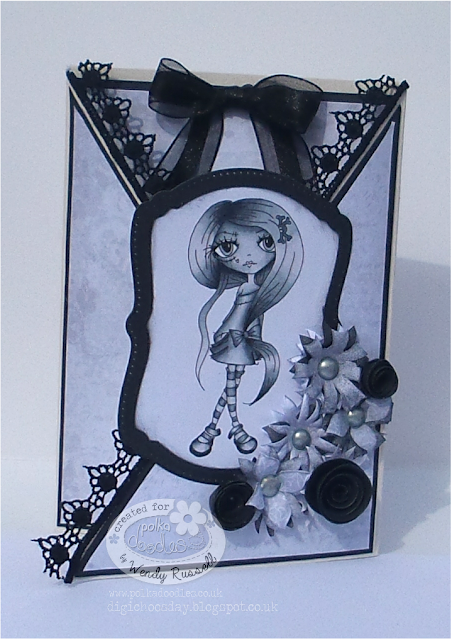 Jenny - I thought I'd show you a card fold I was reminded of quite recently, this is made from an A4 sheet of card. I've used Octavia Collection for this card with two backing papers, one digi and a sentiment. There are more pictures over on my blog. 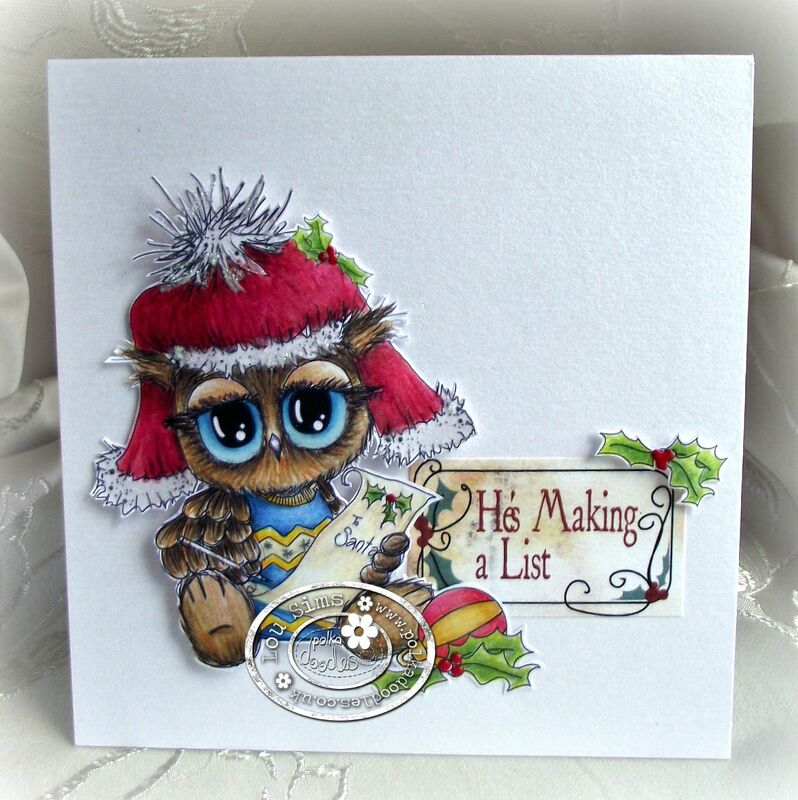 Yvonne - When 'Twiggy and Toots Festive Fun' was on Create & Craft TV I had made a few samples for the show, but one of my samples was too big for me to post which in a way I was very happy with as I love it and now I get to keep it for Christmas! I made a pinwheel decoration using papers from the Collection and then folded the papers back accordion style, gluing the ends together. I printed the image and cut it out twice on my Silhouette Portrait. I then glittered the poor thing within an inch of it's life!!! The mistletoe and snowflakes are embellishments from the collection. 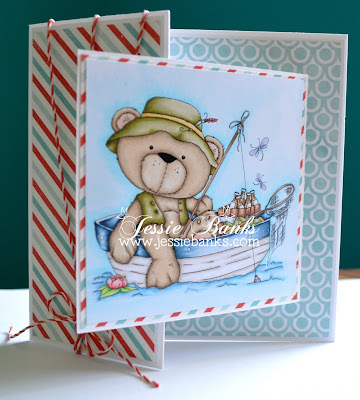 Jessie - I have fallen in love with Winston Bear, this week I used Winston Gone Fishing. I made 2 card bases for this one is a 5 1/2" square card base but the front flap is cut to a width of only 2 3/4", the second card base is a 4 1/2" square card I adhered the smaller card centered to the back panel of the large card opening backwards there are magnets under the striped patterned paper and under Winston to make sure the card will remain closed the area to write is inside of the smaller of card. 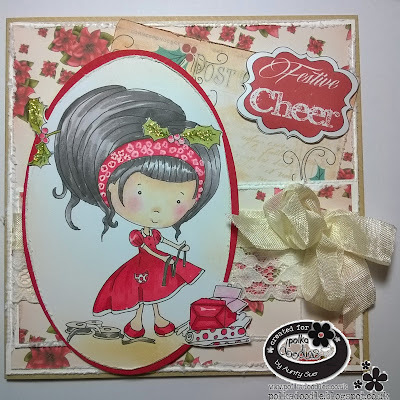 Anita - Today for the more than 1 fold challenge, I have used a centre stepper design this week. 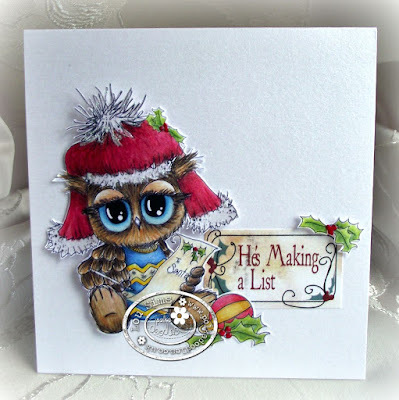 I have also used the wonderful Winston Collection there is oodles in this collection I went with a design sheet which had all that is needed to make a beautiful card. Such gorgeous papers and embellishments to be found for any occasion. Please contact us HERE and quote PD32001Wk29 to claim your prize.